With real ingredients, all natural sweeteners and protein-rich peanut butter, could it be that one of the funnest foods ever created could be healthy too? Don’t tell the kids! *I used fresh ground, organic peanut butter. Look for one with as few ingredients as possible – just peanuts and oil. No sugar or anything you can’t pronounce. Line a 9×13 baking pan with parchment paper so that the paper covers the bottom and all four sides of the pan. In a small sauce pan, heat the brown rice syrup over medium heat. When the syrup begins to bubble, add the coconut oil and peanut butter and continue stirring until you have a good mixture. Place the rice crispy cereal in a large glass bowl. If you like, stir in some cacao nibs or dark chocolate chips for some added chocolate flavor. Slowly stir in the warm syrup mixture using a silicone spatula to evenly coat the cereal. The syrup will bind the cereal together. Pour the mixture into the lined baking sheet and spread it out evenly to cover the bottom of the pan and extend to all sides and corners. Press the surface with a spatula, or use your hand with a sheet of parchment paper to flatten and smooth it out. Chill in the fridge for about an hour, until firm. Remove from the pan and cut into squares with a knife. 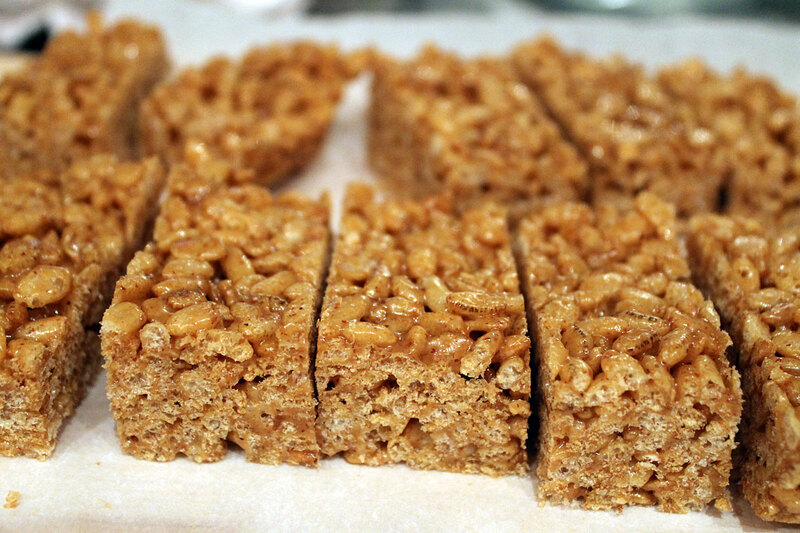 Mmmm…rice crispy treats are my fav! I need to try these! 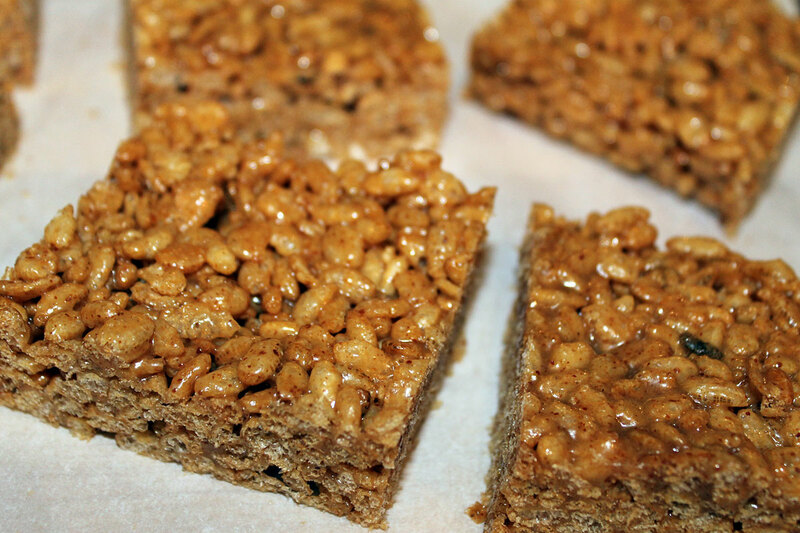 I made these this weekend, and they are so addictive! We used cacao nibs, and love the subtle flavor from the coconut oil. They’re going in the favorites folder for sure! Thank you so much for sharing!! Sachita – Yay! That makes me so happy to hear. And I know, they’re totally addicting, right?! So glad you like them!